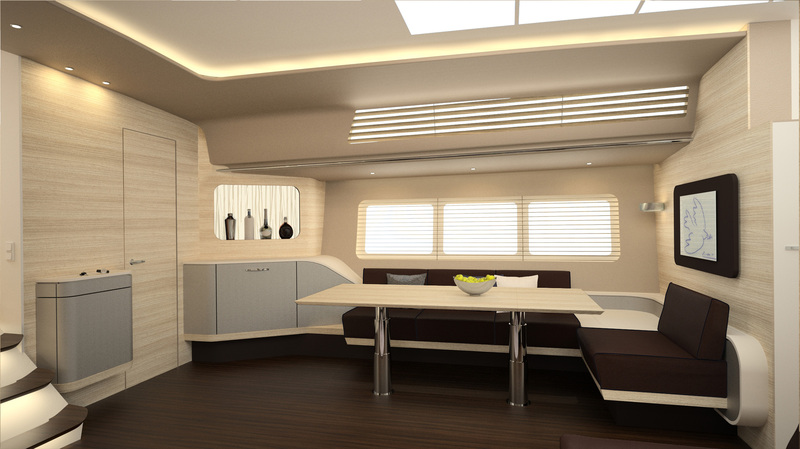 With the widest fuselage among series sailing yachts, this 21-meter ship offers plenty of space for a welcoming interior. It was taken care that the salon, the main part of the interior, seems as bright and airy as possible, through large windows and an open plan lounge. 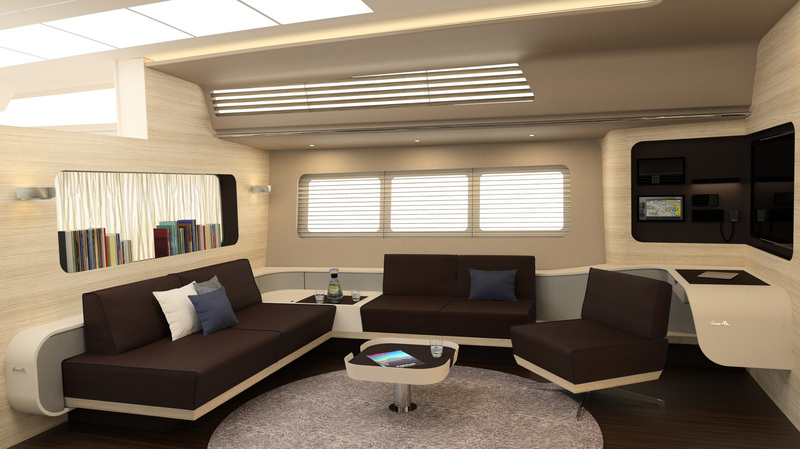 In addition to a curved, slightly dynamic appearance of the furniture, the focus was on functionality and storage ability. 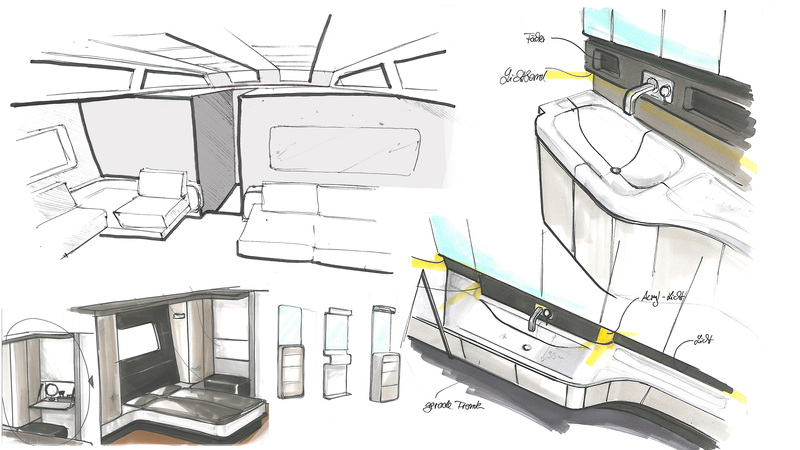 So the salon has an integrated work & navigation station, a pull out couch and a bulkhead with integrated storage compartments. To reflect the dynamics of the exterior, and the sailing sport itself, the interior and product design is based on flowing and dynamic form. The biggest eye-catchers for that matter are the bright, flowing top surfaces of the storage furniture and bed frame. 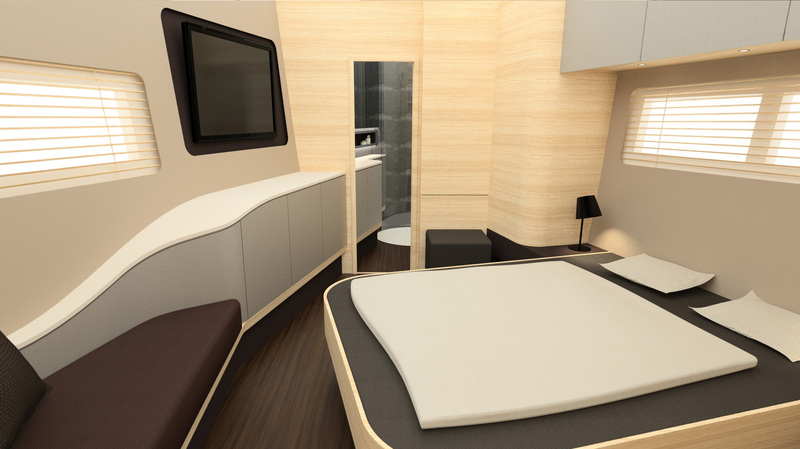 To connect the various rooms such as salon, master cabin and bathroom visually despite all partitions, these flowing surfaces continue in every room. A flat screen TV as the navigation screen, resizable tables and a glare-free, indirect illumination to generate pleasant night moods are some other highlights of the sailing ship.